A visit to a hairdressing salon is usually associated with anticipations of being cared for in a relaxed environment. However, few clients are conscious of the fact that the hairdressing salon can pose serious risks to those working long and uninterrupted hours. 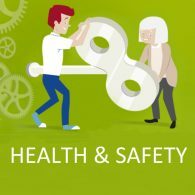 The European Agency for Safety and Health at Work (EU-OSHA) has recognised that hairdressers are exposed to serious occupational health risks and that improving working conditions must be a major priority. The cost of workrelated skin diseases has been estimated to be about five billion euros a year in the EU alone. A United Kingdom study has reported that 70 % of hairdressers have suffered from work-related skin disorders at some point during their career. 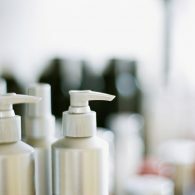 A Danish study compared skin diseases in the hairdressing industry with the average skin diseases in all branches of the economy. For every 10,000 workers, 57 cases were reported in the hairdressing sector against six as an average in all occupations. In a French study it was found that, while hairdressers represent about 1 % of the entire workforce, 20 % of the women affected by work-related asthma are hairdressers. The International Agency for Research on Cancer, in one of its recent monographs (2010), states that its overall evaluation for ‘occupational exposures (to chemicals) as a hairdresser or barber are probably carcinogenic to humans (Group 2A)’. It is also estimated that musculoskeletal disorders (MSDs) are five times more prevalent among hairdressers. 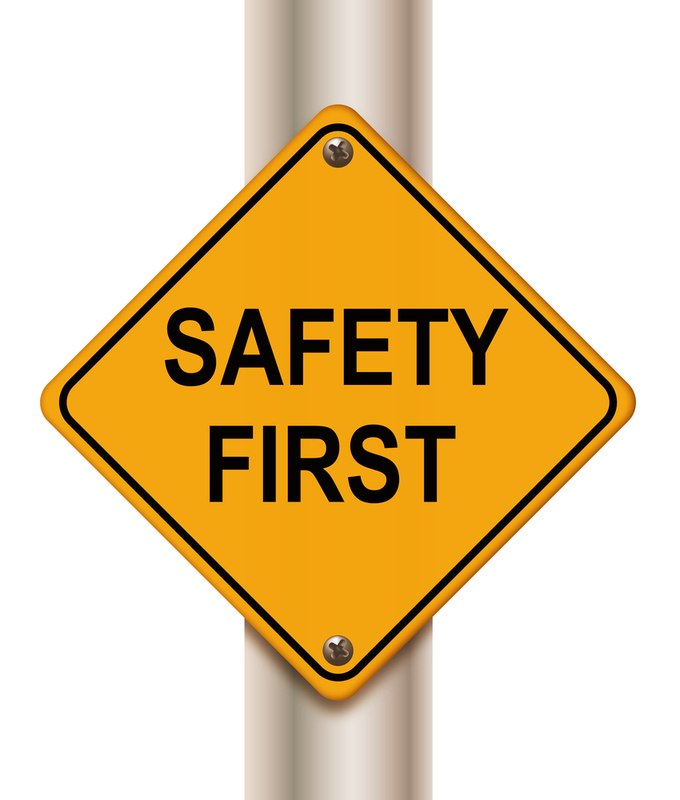 Health and safety problems in the sector result in absences, lower productivity and untimely exit from the sector. Untimely exit (especially among young hairdressers, i.e. those under 35 years old) has a cost to society (increased demand for social security and healthcare services) and a negative impact on the profitability of the investments in vocational training for young hairdressers. These health problems can be challenged effectively by introducing measures which usually cost very little. For instance, the purchase and use of gloves costs only about 1 % of the average annual turnover. Installing height-adjustable rotating chairs and non-slip flooring are also low-cost interventions. 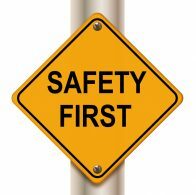 As occurs in all workplaces, in order to understand and appropriately confront occupational safety and health (OSH) risks, one must first identify the hazards in the workplace and relate them to the likelihood of occurrence. The appropriate prevention measures should then be proposed and applied. This procedure is called risk assessment and is iterative. The main risks encountered in hairdressing salons could be divided among nine categories. At this point, it should be emphasised that the description of the risks and their required measures are not exhaustive. Ergonomics is the science that designs the work organisation, environment and equipment with the aim of adapting them to the worker. 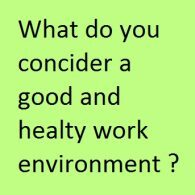 The term ‘ergonomic factors’ generally refers to situations where there is misfit (physical and cognitive) between the worker and the working environment. Lack of ergonomics in work design could result in physical discomfort, persistent pain in parts of the body or physical and mental exhaustion. The physical symptoms usually arise from constant and repetitive movements of various parts of the body or, alternatively, from holding awkward postures (sustained or constrained). 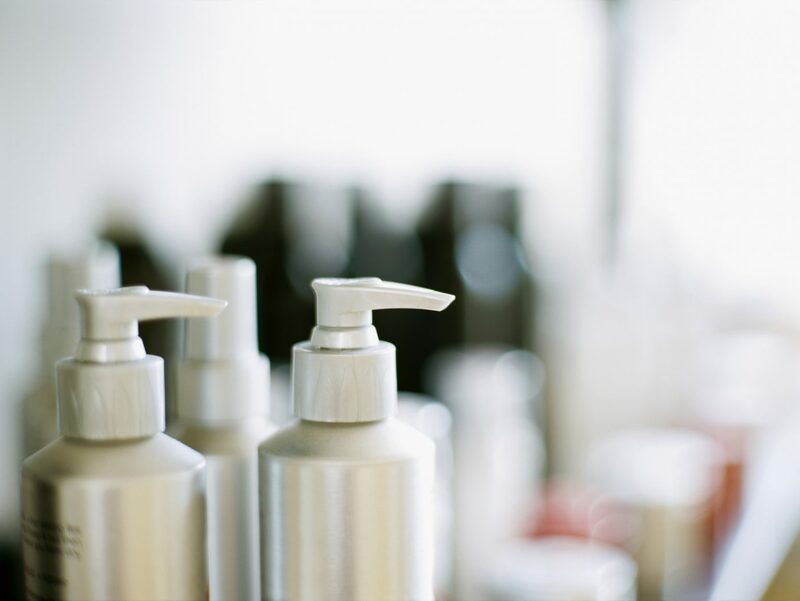 Irritant and allergic contact eczemas may be caused by prolonged or repeated contact with water and skin-damaging hazardous substances because of the specific wet work in hairdressing salons. Wet work involves activities in which employees carry out work in a wet environment for a substantial proportion of their working hours, wearing liquid-tight (occlusive) gloves or washing their hands frequently or intensively. Typical wet work in the hairdressing profession involves, for instance, hair shampooing and working with (cutting, setting, etc.) wet hair. Biological factors, such as bacteria, viruses and fungal spores, can cause infections and diseases. For this reason, strict hygiene measures must be applied. The most effective way to contain these microorganisms is to use freshly prepared disinfectants. adequately illuminated by natural or artificial light. shocks. For this reason, maintenance of electrical equipment is vital. Proper organisation in this respect entails that footstools, equipment, coat hangers, product displays, magazine racks, etc. do not obstruct free passage. In addition, in order to prevent trips care must be taken so that electrical cables or cords do not cross the salon’s floor. A hairdressing salon must be spacious and organised in such a way to provide free movement of both staff and clients. Burns and cuts Contact with hairdryers and steamers that may have hot surfaces can cause burns. Care must also be taken to avoid continuous contact with excessive hot water. It is important that all utensils such as scissors, razors or clippers are handled carefully, kept in good condition and stored with protective coverings. All three parameters necessary to initiate and propagate a fire coexist in the work environment of a hairdressing salon: hot electrical surfaces, flammable products and air. In order to minimise the risk of fire, one must isolate one parameter from the other. This can be achieved by proper storage of hair products, aerosols and solvents away from hot surfaces or heated utensils, preferably in fire-proof cabinets. Psychosocial factors that can impede work practices and promote stress include bullying, sexual or racial harassment, intimidation, threats, verbal abuse and, in extreme situations, physical assaults. 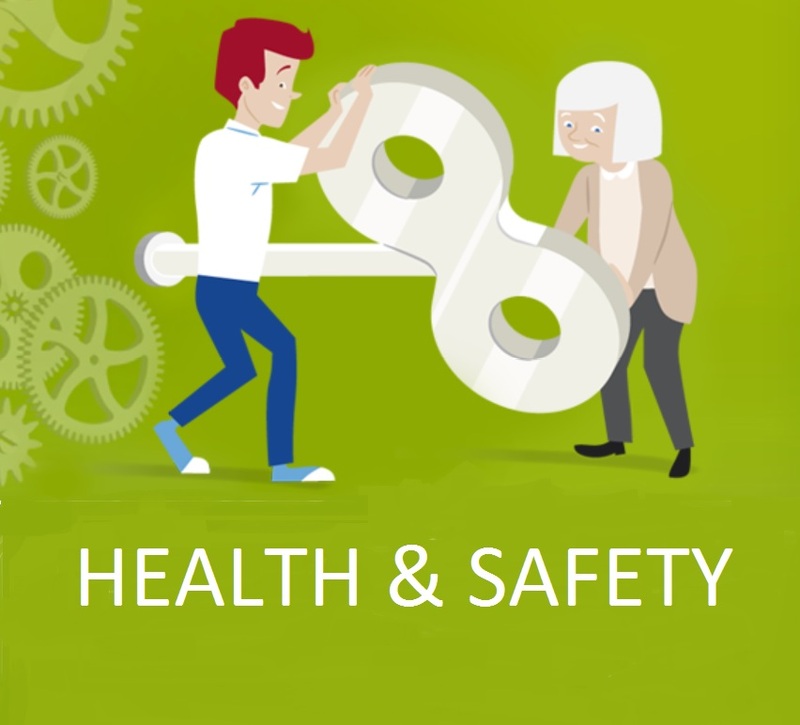 Under European OSH regulations employers have a duty to provide information on these issues, a safe work environment and training.